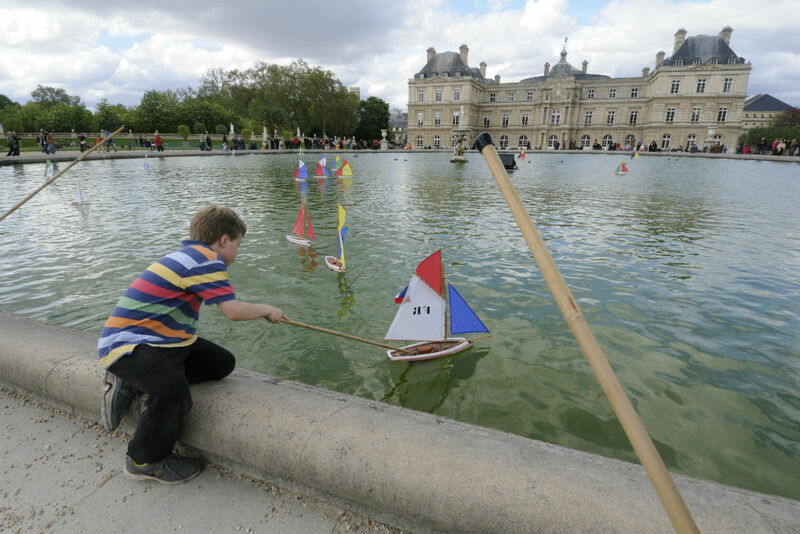 Filled with parks and playgrounds, Paris is a kid-friendly spring-break destination. That's Doug in the Jardin du Luxembourg when he was eight. Where to take the family for spring break? It’s a question I get from countless readers every year who are desperate for an alternative to theme parks and mega-resorts. Finding an interesting, convenient and, ideally, affordable vacation is no easy task, especially when so many schools let out simultaneously and so many families crowd the same places. Airfares and hotel prices shoot up and, if you’re not careful, so does your stress level. What kind of vacation is that? To help you and your crew escape the beaten path of family-travel destinations, here are a few alternatives—including the place I’m taking my own kids this year. It’s one of the world’s kid-friendliest cities, and not just because of the playgrounds, carousels, and crepe stands everywhere. I took the kids for spring break when they were ten and eight, and we discovered a huge number of surprisingly kid-friendly museums. Thanks to fantastic children’s audioguides, my kids were captivated everywhere from the Musée de l’Armée—where the handheld guide took them on an entertaining scavenger hunt—to the Musée de la Musique, a collection of unique, antique, and exotic musical instruments, including some that look like they’re straight out of Dr. Seuss. Rent an apartment to get more space for your money and to give your kids a glimpse of what it’s like to live as a local. My then-10-year-old, Charlie, learned how to go to the corner boulangerie and buy croissants with euros all by himself. Madelyn Byrne Willems, my Trusted Travel Expert for Paris Vacation Rentals, recommends the seventh arrondissement. “It’s in the center of Paris and is home to many families with children and has easy access to museums and monuments. It also has many excellent bakeries—children can pick a new one every day—as well as affordable restaurants and open-air markets.” Don’t leave home without my tips for how to skip the lines at the Eiffel Tower and the Louvre. 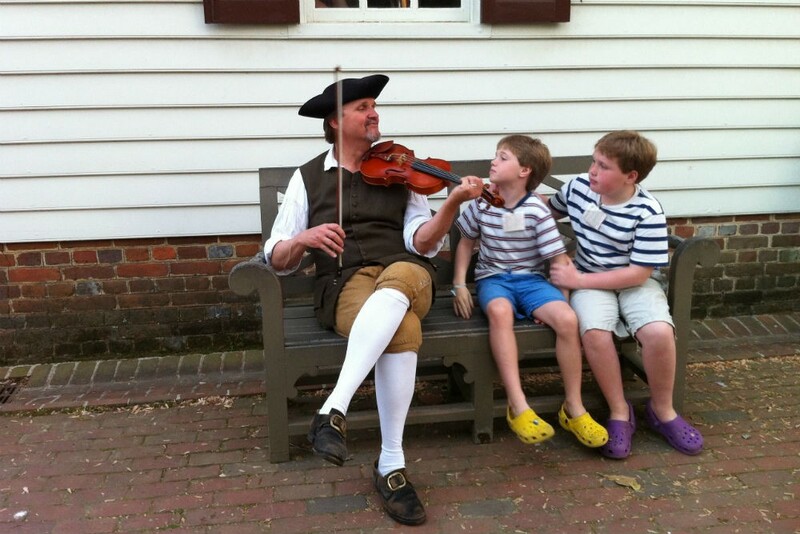 Virginia’s Colonial Williamsburg is an immersive history experience that enchanted my kids. Our spring-break getaway when the kids were seven and nine was an interactive immersion in early American history. In Colonial WIlliamsburg the flowers were blooming, turning the grounds in front of the Governor’s Palace into a riot of color, and the village was not nearly as hot and crowded in April as it gets during the summertime. You can read more advice from me (how long we spent there, where we stayed, etc. )—and even read my then-9-year-old’s trip review—in this article I wrote for Condé Nast Traveler. Go to History.org and click on “Kids” for a slew of games and activities to get your children excited about their trip and educated about colonial villages even before you arrive. You can always find inexpensive airfares to Los Angeles (LAX), where it’s easy to rent a car, drive south along I-5 to Oceanside, then turn east toward Borrego Springs and the spectacular badlands of the Anza-Borrego Desert State Park. The wildflowers here usually explode into bloom in March, and that bloom continues for weeks afterward in different parts of the Desert (check for wildflower updates here). California’s largest state park is a tranquil wonderland of geological phenomena including canyons, mesas, buttes, badlands, dunes, washes, palm groves, cacti, and sweeping vistas that give new meaning to the phrase “purple mountain majesties.” Family fun includes checking out Split Mountain, ruptured and contorted by earthquakes and flash floods; squeezing into The Slot, a narrow sandstone canyon; finding prehistoric fossils and ancient pictographs in sacred rocks; and looking for shooting stars after sundown. 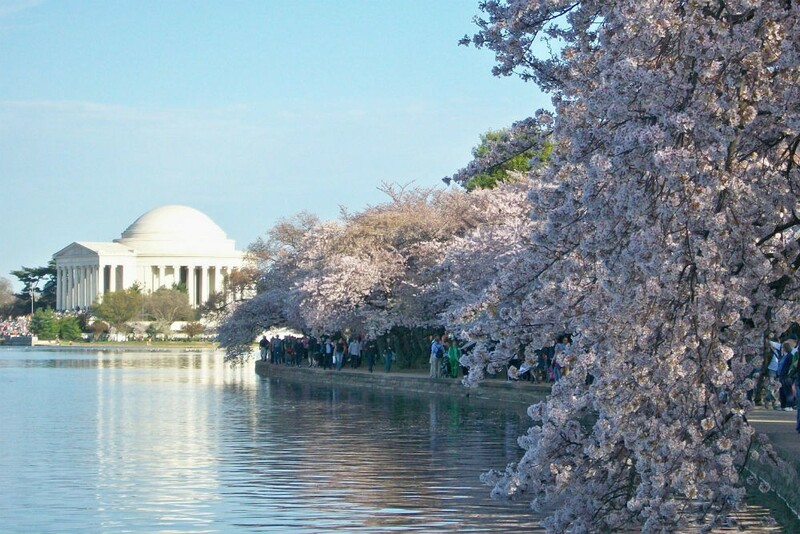 When cherry-blossom season coincides with spring break (the peak bloom is forecast for March 19–22 this year), Washington, D.C., is a super destination for families. The Smithsonian Museums have free admission (as does the National Zoo), and several fun family-friendly events take place in early April, including the National Cherry Blossom Festival’s Blossom Kite Festival (April 1) and Parade (April 8) and Opening Day for the Washington Nationals (April 3). There’s also the Smithsonian Craft Show (April 27–30) and the Wine and Food Fest just down the Potomac River in National Harbor, Maryland (April 29–30). For kid-friendly, special-access tours of Washington, D.C., reach out to Paul Bennett, my Trusted Travel Expert for that city. 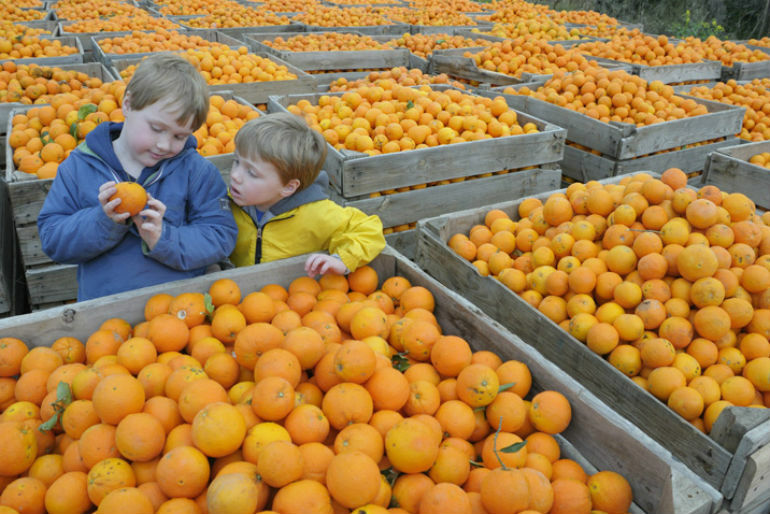 Our trip to Andalusia when the boys were five and seven coincided with the orange harvest. For spring break when the kids were 5 and 7, we rented a villa in the rolling countryside outside Granada, in southern Spain. Temps were in the 60s, it was orange harvest time so the aroma of oranges wafted through the air, and there were fiestas around the region. We explored everything from the ancient white villages of the Alpujarra mountains to the Moorish palaces and gardens of the Alhambra. Just keep in mind, when your spring break coincides with Easter, that Holy Week in Andalusia can be crowded, with processions day and night. Too many families consider national parks only for summertime trips. If your kid’s spring break falls in April, Yosemite is a great option. As you know from Your National Parks Calendar: Which Parks To Visit Each Month, its sparkling waterfalls are at their peak flow in springtime. 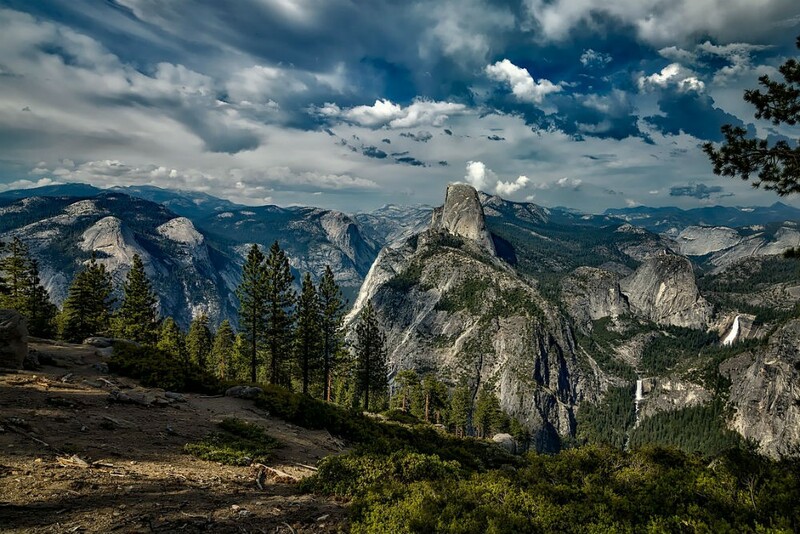 Whether you’re looking for easy day hikes or technical rock climbing, a bicycle ride along paved paths or an overnight trek into the backcountry, you’ll find it in Yosemite, along with massive granite walls and a lush valley full of wildlife. 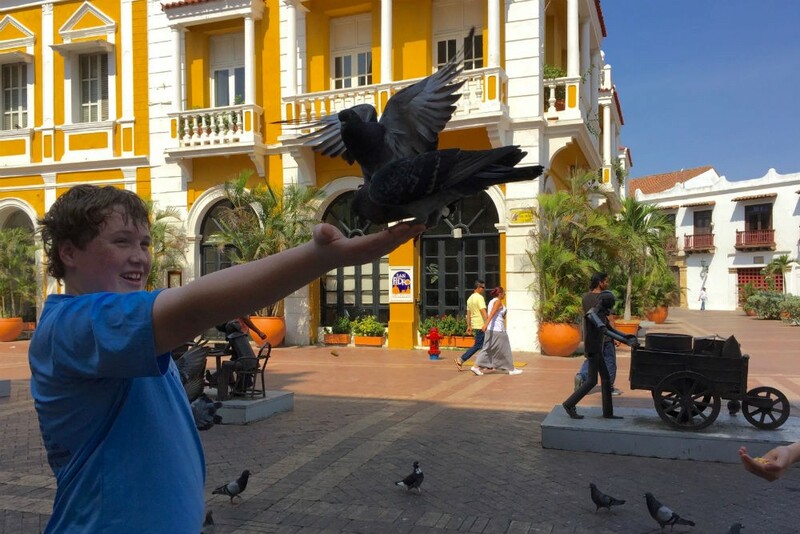 Here’s Charlie feeding pigeons in the Old Town of Cartagena, Colombia, during spring break last year. There’s a lot of new airline service to Colombia, and in March and April you’ll find sunny days, clear skies, a fresh breeze that keeps the temperature comfortable, and reasonable prices, since the low season is about to start. More and more families are visiting Colombia nowadays—and exploring well beyond the beaches and colonial Old Town of Cartagena. They’re visiting Bogota too—for its art, architecture, and food—and Colombia’s coffee country, which abounds with outdoor and cultural activities. Yes, it takes time to get to—it’s in a remote part of southwestern Texas, a three-hour drive from Midland/Odessa airport—but temps are in the 70s in March and April, and it’s the best time to see the cactus and wildflower blooms. As we know from Your National Parks Calendar: Which Parks to Visit Each Month, Big Bend has three strikingly different landscapes containing canyons, rivers, desert, and mountains: You can navigate the Rio Grande by raft or canoe, soak in hot springs, climb the Chisos Mountains for a view into Mexico, or search for rare ocelots, jaguarundis, and jaguars. 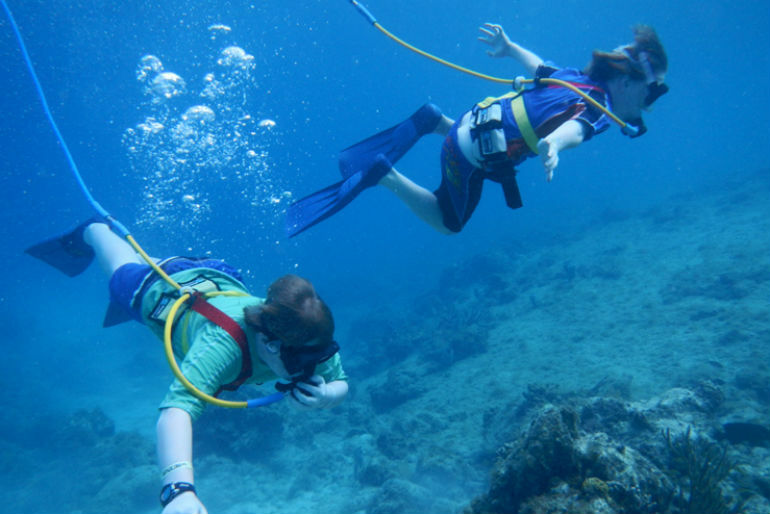 The boys have tried SNUBA (a combo of snorkeling and scuba) in Caribbean cruise ports during spring break. Here’s one of my tricks for avoiding those sky-high spring-break airfares: Instead of flying my family to a destination that’s in peak season, I fly us to a city that’s in low or shoulder season and has a cruise port where we can board a ship and sail to a place that’s in peak season. For example, we’ve flown to ports such as New Orleans and Los Angeles, where we’ve then boarded ships for the Caribbean or Mexico. Last year we flew to Panama (there were cheap airfares on United because Panama City is a hub) for a Panama Canal cruise. The Panama Canal fits the bill when you’ve got kids for whom a cruise is nirvana but you want to avoid the same old overbuilt Caribbean ports. To avoid high prices and crowds, I looked for a country that doesn’t celebrate Easter. 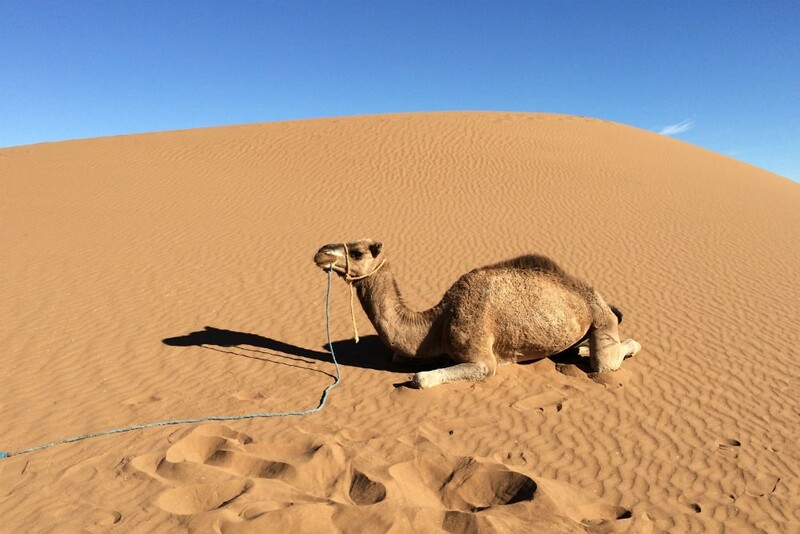 We’re going to Morocco! Busy parents, if you wish you could snap your fingers and find the perfect travel agent to design and deliver the best trip possible to any of these places, click over to Ask Wendy. Because family travel memories are too precious to jeopardize with bad logistics. Absolutely fantastic set of suggestions, Wendy! I recently visited Colombia with your Wow agent Eric Sheets and couldn’t agree more that the coffee country there is gorgeous and unusual. I have always wanted to go to Big Bend National Park, and spring sounds like the perfect season to go. Never thought about the desert you recommend in Southern California, but that and several other spots you suggest sound fantastic. 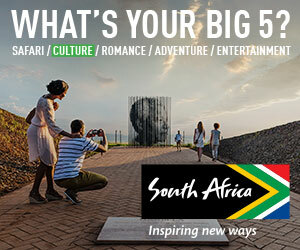 Thank you for being the workd’s Greatest travel source!